Officials are investigating municipal employees and other community members who may be involved in prescription drug insurance fraud in Margate, Atlantic City and Ventnor. The Atlantic County prosecutor confirmed an ongoing investigation into possible prescription drug fraud involving public workers and others in the county, including workers in Margate, Ventnor and Atlantic City. NBC10's Ted Greenberg has the details in an exclusive interview with the prosecutor. The Atlantic County Prosecutor confirmed an ongoing investigation into possible prescription drug fraud involving public workers and others in at least three New Jersey cities. “It could involve anyone from a public employee to a pharmaceutical rep to a doctor to anyone who played a role in deceiving the insurance companies,” Atlantic County Prosecutor Damon Tyner said in an exclusive interview with NBC10’s Ted Greenberg Monday. Tyner said his office and federal authorities are conducting parallel investigations of municipal employees and other community members who may be involved in prescription drug insurance fraud in Margate, Atlantic City and Ventnor. NBC10 also obtained an Atlantic County grand jury subpoena issued to the three cities, ordering them to turn over information about police, fire and other employees who have express scripts, MedCo, and/or NJ Direct as part of their health insurance plans. A federal grand jury subpoena that NBC10 obtained in June also requested the same information. 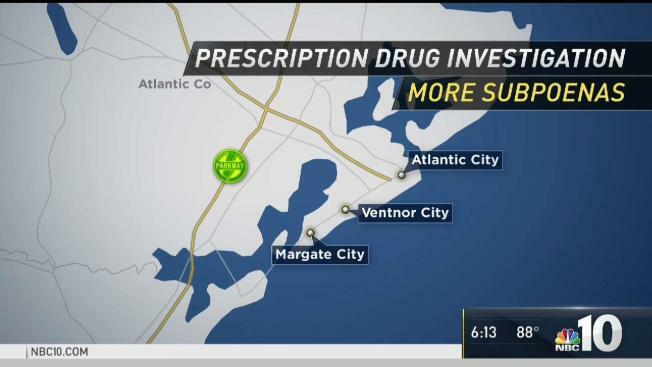 The subpoenas come after records, also uncovered by NBC10, showed a massive spike in brand name prescription drug costs by Margate City employees, from nearly $714,000 in 2014 to more than $3.3 million in 2015 with only a small increase in the number of prescriptions filled. “We are obviously committed to getting to the bottom of this scheme,” Tyner said. Tyner said vitamins and compound prescription creams are part of the investigation. He also said the case potentially involves hundreds of defendants and may result in both federal and state charges. 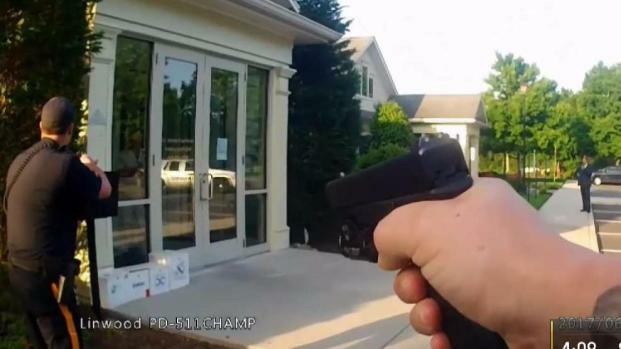 New video obtained by NBC10 shows officers involved in a stand off when they showed up to search the office of Dr. James Kauffman, the husband of a radio host who was murdered several years ago. NBC10's Ted Greenberg has the details. Kauffman eventually surrendered and was taken for a psychological examination. Prosecutors said the search warrant was not related to the May, 2012 murder of his wife April Kauffman. No arrests or indictments have been announced in the fraud investigations, causing speculation to run rampant. “We don’t know,” said Ventnor City Mayor Beth Holtzman. “So the uncertainty of what is going to happen or what coworker is going to be affected is causing some morale issues."